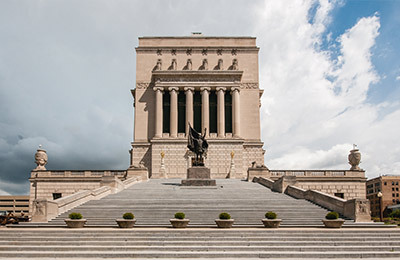 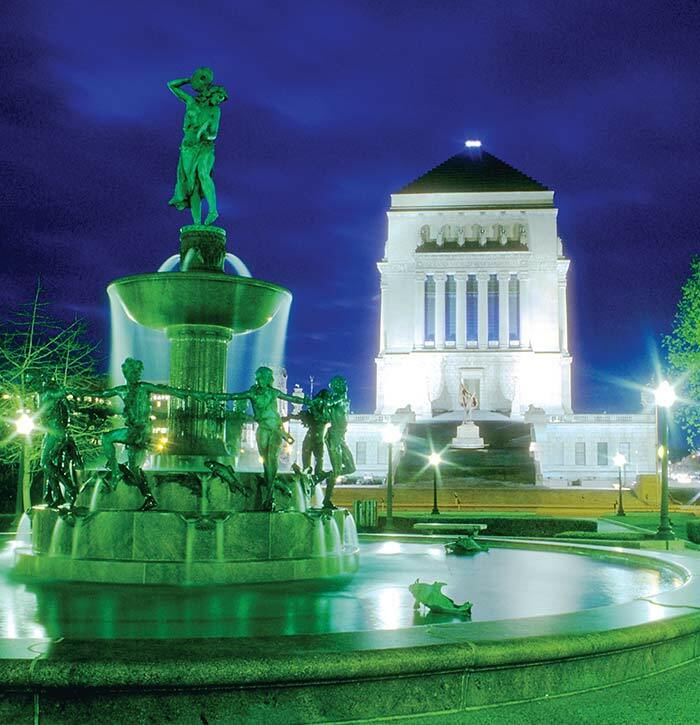 The Indiana War Memorial— unequivocally the crown jewel of the War Memorial Plaza National Historic District—was built to honor Hoosier veterans of World War I. 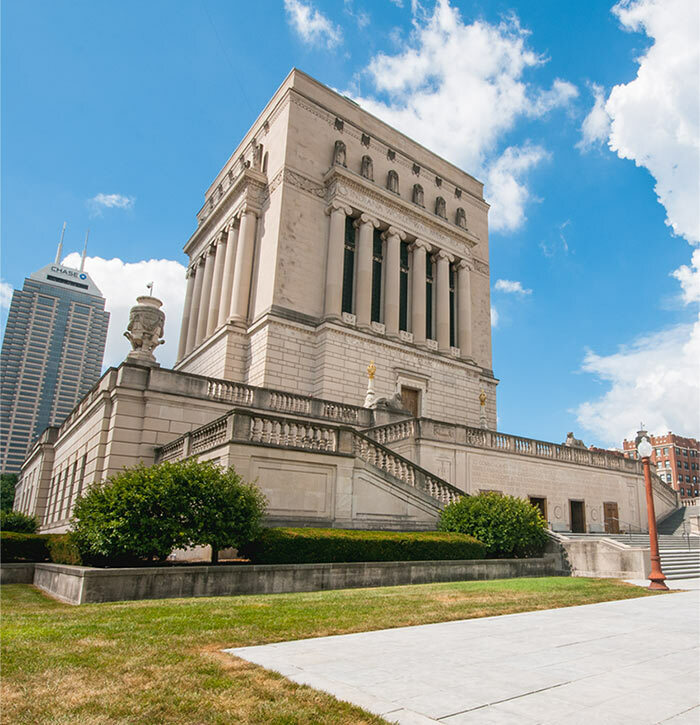 Today, through the Indiana War Museum, it also conveys the contributions and sacrifices of Hoosier service men and women from the Revolutionary War through recent peacekeeping operations and conflicts. 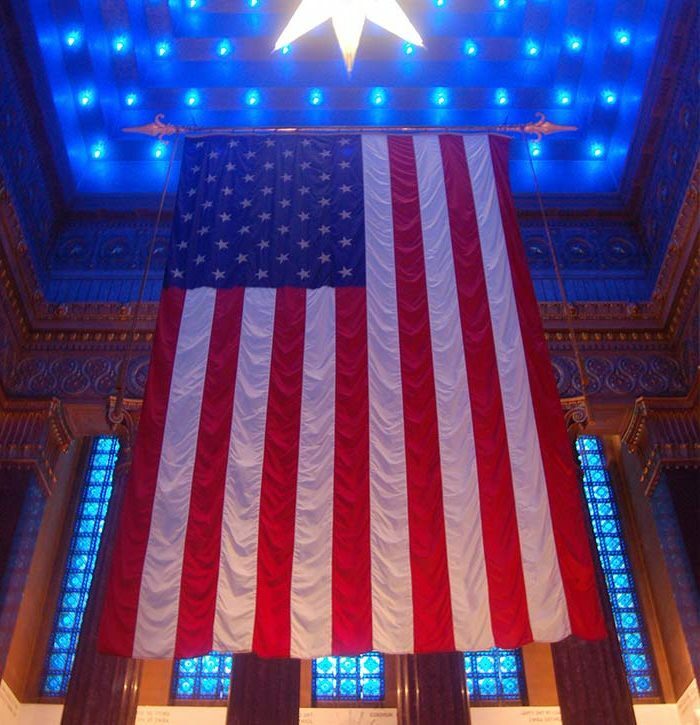 The Garrison Flag, the largest flag at an outpost or military base, hangs in the Shrine Room. 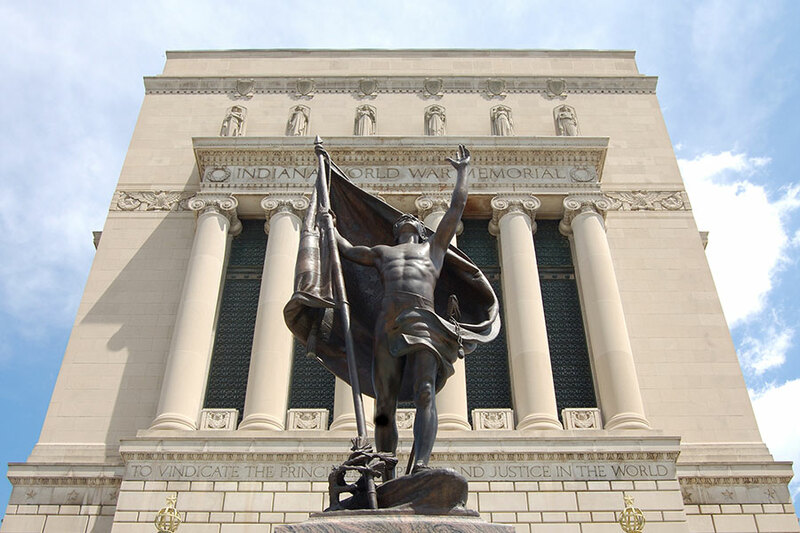 The Indiana War Memorial is 210 feet tall. 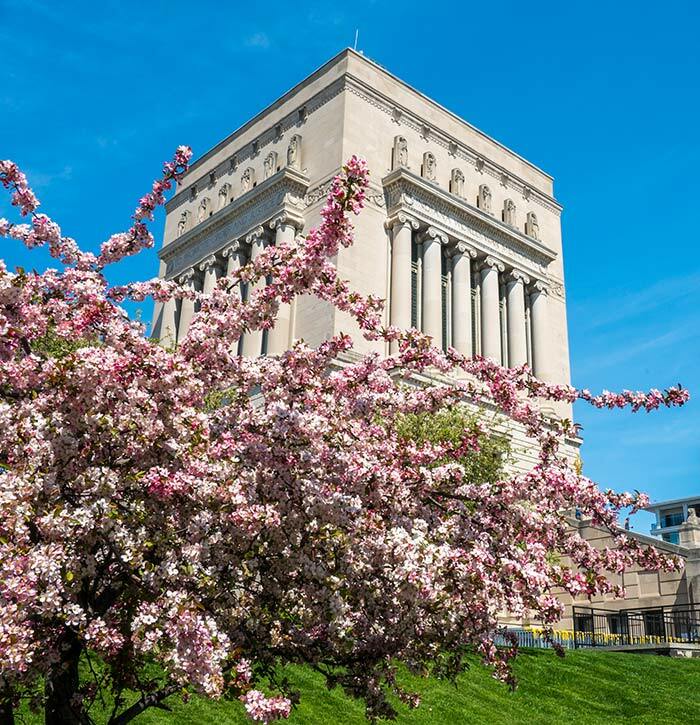 The names of Hoosiers who participated in WWI are listed throughout the building. 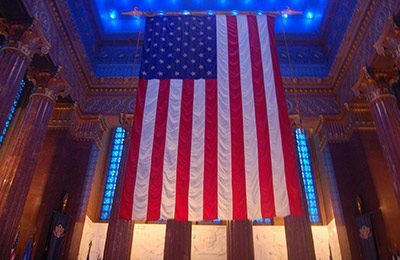 The Shrine Room was dedicated on Armistice Day in 1933. 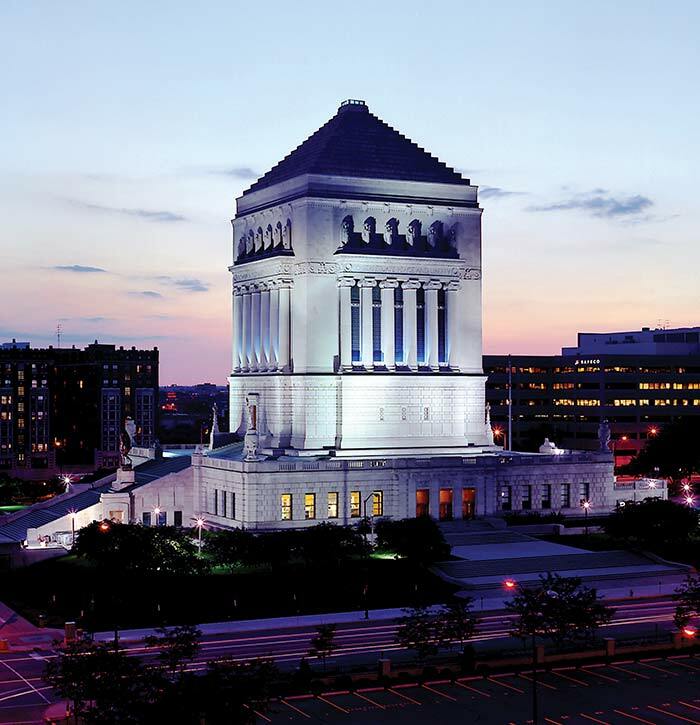 General John J. Pershing, commander of the American Expeditionary Forces in Europe in WWI, laid the cornerstone of the Indiana War Memorial on July 4, 1927. 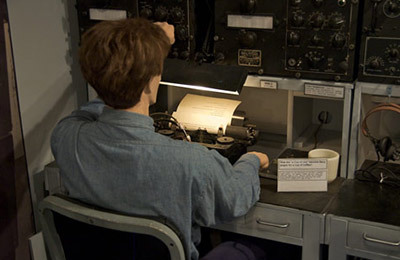 The same poet who wrote the quotations on the Lincoln Memorial wrote quotations featured in the Shrine Room. 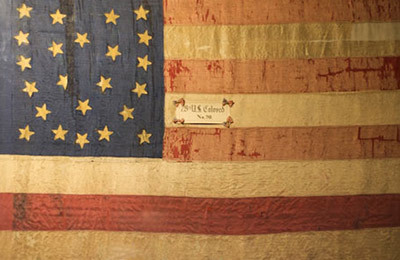 There are over 400 battle flags in the IWM collection, including more than 300 Civil War flags. 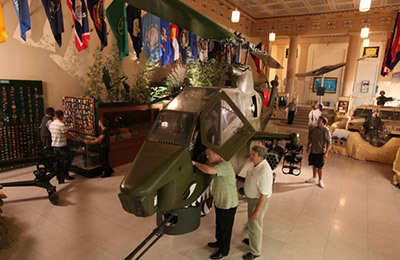 They are rotated for display on a regular basis.